If you no longer enjoy your hot cup of tea or a cold soda without wincing in pain, it is time to book that appointment with your dentist. Experiencing pain when taking hot or cold meals is a clear sign of tooth sensitivity It the sensitivity lasts a few seconds, the problem is not as serious and can be corrected with simple procedures. However, if the pain is more than 30seconds, it indicates permanent damage to the pulp which can only be fixed by a root canal. Tooth sensitivity is a common oral concern yet mostly ignored until it becomes unbearable. Most people do not understand the causes of tooth sensitivity and how this can be managed. Enamel erosion – The enamel is the outer part of your teeth that protects the inner sensitive parts. The enamel can be damaged by the action of bacteria on the teeth or some dental procedures such as fillings and crowning. When damaged, it exposes the inner sensitive part of the teeth causing tooth sensitivity. Receding gums – These expose the dentin which is made of tissues and nerve endings supplying blood and nutrients to the teeth. When these are exposed, they cause tooth sensitivity. Tooth cavities – Cavities are holes in the mouth created by action of acids on the teeth. They expose the dentine and pulp full of tissues and nerve endings. This causes teeth sensitivity. Treating tooth sensitivity is only successful it the underlying cause is determined. Quick-relief methods do not treat the sensitivity but only ease the pain at that movement. Below are the common forms of treatment for tooth sensitivity. 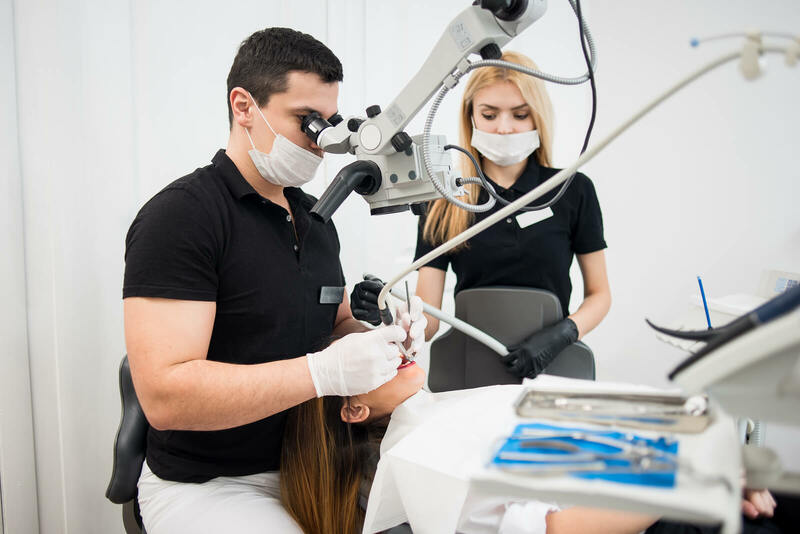 Fillings and replacement of dental crowns – If sensitivity is caused as a result of falling fillings or dental crowns, fixing these will treat the sensitivity. Root canal – This method is administered to patients whose tooth sensitivity is caused by an infection in the pulp. The method cleans the pulp removing the infection and bacteria penetrated in the teeth. Check your diet – Sugary foods turn acidic in the mouth causing erosion of the enamel. When the mouth is acidic, harmful bacteria thrive as well and their action produces acids which erode the enamel. Check your diet for high sugar foods as well as acidic food and try to eliminate this from your diet. When consumed, be keen to brush and floss your teeth immediately. Tooth sensitivity is an indicator of other underlying dental health concerns which should be determined and treated. A sharp pain that lasts more than 30 seconds should be treated seriously and professional help sort. If you are experiencing tooth sensitivity, book your dental appointment at Dentistry on Elgin for expert advice and care to treat the sensitivity.